Well I have recently been busy working one of my XNA projects. Though it isn't a game, it is a way to find information about XNA. A couple of months ago I launched XNAPortal.com to track RSS feeds about XNA, Microsoft's new game design tools as well as a way to track your own feeds. I have been working on a great Community Links section for the site and finally went live with it yesterday. If you have an interest in XNA, go check out the site, it has some of the best RSS feeds for XNA all in one place plus a great link resource that is growing weekly. Microsoft announced it has four new content providers and upgraded content from others. Quote from Microsoft's press release: REDMOND, Wash. — March 27, 2007 — Xbox 360™ just keeps getting more entertaining. Microsoft Corp. today announced that TV series and movies from A&E Network, ADV Films, National Geographic and TotalVid.com will add to the more than 1,500 hours of downloadable entertainment content already available on Xbox LIVE® in the U.S.
Further capitalizing on the success it has seen with Xbox LIVE, one of the leading distributors of high-definition gaming and entertainment content in the living room, Paramount Pictures, for the first time on Xbox LIVE, will offer its feature films for download in high definition. Available titles will include "Braveheart," "Team America: World Police," "World Trade Center" and "South Park: Bigger, Longer & Uncut." Also, for the first time, Warner Bros. Home Entertainment will be releasing its direct-to-video movies exclusively in high definition on Xbox LIVE simultaneous with their availability on DVD, starting with "Sublime" and later "Babylon 5: The Lost Tales." "With more than 300 games expected by year’s end, an Xbox LIVE community of more than 6 million people and a growing catalogue of premium content from some of the biggest names in entertainment today, Xbox 360 is an incredible value," said Peter Moore, corporate vice president of the Interactive Entertainment Business in the Entertainment and Devices Division at Microsoft. "Adding partners and content like this helps reinforce the console's position as the center of connected entertainment in the living room." Downloads on Xbox LIVE have grown in double-digits, month-over-month, with a 400 percent increase since the service began offering TV shows and movies late last year. Xbox LIVE members have also enjoyed free entertainment content, which has been wildly successful. Comedy Central recently offered the first-ever high definition episode of the No. 1 show on its network, "South Park." "Good Times With Weapons," available for a limited time on Xbox LIVE, has been downloaded more than 380,000 times to date. Warner Bros. Home Entertainment offered promotional clips from the blockbuster hit movie "300" that have been downloaded more than 477,000 times. • A&E Network. "Dog the Bounty Hunter," "King of Cars," "Gene Simmons Family Jewels," "Driving Force," and "Criss Angel Mindfreak"
• National Geographic. The television series "Is It Real?" and "Taboo" as well as programs such as "21 Days to Baghdad" and "Air Force One"
Do you want to run Linux on your Xbox 360? Well combining XeLL (Xenon Linux Loader) and the Hypervisor Vulnerability to run Linux on the Xbox 360 is a reality. Quote from Xbox-scene.com: "In order to run this current loader, you will need to execute the compiled version through serial cable, after booting a modified shader via the king kong disc (with a firmware modded dvd-rom), and you will need to compile your own linux kernel aswell. This is obviously for the more savvy of the xbox users, but keep in mind this is a very early release with limited support (samsung sata drivers are not supported yet, but hitachi confirmed working great)." Of course the mod will only work if you have kernel 4532 or 4548 since it will not work with the patched 4552 kernel. If you're intimidated about doing everything yourself, there is some good news, it seems Felix Domke is working on a Linux live cd that will be easy to boot. If your looking for more information or want to keep up with the project Xbox-scene.com has a forum to discuss it. Kotaku.com has an article up about the rumored Black Xbox 360. 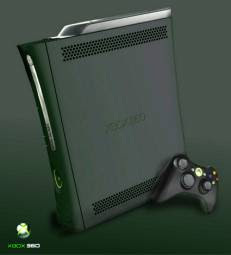 It seems Game Informer (GI) magazine claims the rumor is true and we will see the elusive black Xbox 360 soon. In the magazine article they list the consoles specs and Matt Helgeson over at GI emailed Kotaku.com to let them know it is not a rumor, the console is real and on it's way to a store near you. Quote from the article: "This month's Game Informer says that a black Xbox 360 with larger 120GB hard drive, HDMI output and an HDMI cable will retail for approximately US $479. It does not include HD-DVD playback. A well-placed source at Microsoft tells GI that the reason is because the 'format's not proven.'" So, what to say about this? Well being an early adopter I am kind of upset since it means to get HDMI I will have to buy a new console. 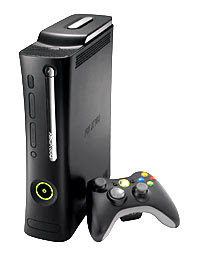 Where is the love for the early adopters who helped put the Xbox 360 where it is today? Joystiq.com mentions the new 120 gig hard drive will retail for $200(!! ), seems a bit expensive to me considering I can get storage for less than $1 a gig for most other things. If that is showing love, I would hate to see what it would cost otherwise. All the information points to a late April release, let's just hope there are no delays. I will definitely be getting a new hard drive, it is my biggest gripe with the current console but at that price I will have to wait a bit. Will you be upgrading to a new console, getting a new hard drive, or just continuing on with what you already have? **UPDATE - Quote from engadget.com: "We've confirmed with trusted sources that the black Xbox 360 is indeed coming and will be dubbed the Xbox 360 Elite." Ever wanted to be a part of a game development project? I know I have though truly I do not yet posses the skills. There is a way to get your name on a project as a designer without having the skills to be a designer. Jeff Orkin, the designer behind the AI in F.E.A.R, is looking for help on a project he is working on for the MIT Media Lab. Quote from the site: "Contribute to the first collaboratively authored computer game and earn Game Designer credit! All contributions are not equal, however. Designers will be ranked based on how well they play their assigned roles, and accomplish their objectives. There will be only one Lead Designer. Remaining credits will be divided into Game Designers and Assistant Game Designers, and within each category individuals will be ranked according to the quality of their performance(s). Quality will be determined computationally, based on a number of factors." Click through to read the rest of his blog post, get the game, and play it through a few times. This is a way to get designer cred without having the skills needed to be a designer. Besides, you just might help create the next-gen AI system games will be using in the future and having your name on that as a designer or researcher would be awesome. Well, Sony is trying to redeem the PS3. At the GDC today Sony announced their new 3D world for gaming. Sony Computer Entertainment Inc. Announces Ground-Breaking, Next-Generation 3D Online-User Community For PLAYSTATION®3 - "Home"
TOKYO and SAN FRANCISCO, Calif., March 7, 2007 – Sony Computer Entertainment Inc. (SCEI) today announced the unveiling of a first-of-its-kind 3D online user community service for the PLAYSTATION®3 (PS3™) computer entertainment system. The service, known as “Home,” will enable users to create their own avatar and explore a real-time virtual community, as if they are playing a detailed 3D game for PS3. The service will become available globally beginning in fall 2007. Home will be demonstrated at the Game Developer’s Conference (GDC) in San Francisco, California on March 7 as a key element of SCEI Worldwide Studios’ President Phil Harrison’s keynote presentation titled "Game 3.0: Developing and Creating for the 3rd Age of Videogames." Sharing continues in the "Hall of Fame," where users can display new 3D trophies that will be unlocked through in-game achievements, as well as real time score rankings in PS3 games. "This is a significant step forward in the area of user community services and emergent entertainment experiences," said Izumi Kawanishi, Corporate Executive and CTO Software, SCEI. "While the 3D graphics demonstrate the power of PS3 and the PLAYSTATION Network, the most impressive feature in Home is the variety of ways in which multiple consumers, as well as our third-party partners, can experience the next generation of communication by interacting and sharing among each other. I feel strongly that this unique blend of community, user-generated content, collaboration and commerce will expand the future of computer entertainment." Home will go into a closed beta test this spring with a full launch targeted for later this year. By having a broad range of business partners participate in Home, along with an expansive catalog of upcoming game software titles for PS3, SCEI will continue to enhance the new world of entertainment and vigorously promote PS3 as the next generation computer entertainment platform." I have to say, it looks great and it's success depends on what you can actually do in the world, how much it will cost to customize things, how games interact with the world, and whether Sony makes the 3D Trophies mandatory for all games. After all, if I am going to show these things off, I would like them to be available from all the PS3 games that I play. Check out the video Sony released for Home below. ZDnet is reporting Microsoft has issued a fix for the unsigned code execution in Hypervisor Mode vulnerability I posted about earlier. Microsoft reports they have already released the fix through Xbox Live and the fix will be coming in games available after Feb 20th. Quote from the article: "Microsoft confirmed the issue on Friday. "Microsoft has worked with the party that reported this issue and has already distributed a fix across our distribution methods, both online and offline," a company representative said in an e-mailed statement. The update was pushed out via Xbox Live, Microsoft's online gaming service. Any game coming out after February 20 will ship with the fix, which is also available for download on the Xbox Web site, the representative said. However, Microsoft doesn't describe the Xbox update as a security fix. Instead, on its Web site it lists an "operating system update" for download, without stating what the update does." So, go check out the article for more details but it looks like homebrew will have to wait for the masses as most have likely already had their 360s patched, I am willing to bet mine was patched. But I don't really desire a mod anymore as the Xbox 360 does everything I want it to through Xbox Live, the XP MCE extender, and the XNA Creators Club. I am hoping to get in on the IPTV offering coming soon and I do not think it would play nice with a mod. Do you desire a mod for the Xbox 360? If so, for what purpose?